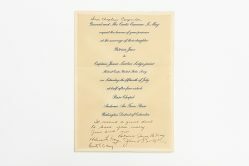 Sweetheart pins, wings, handkerchiefs, bracelets, and pillow covers are some of the gifts that military men bought for their girlfriends and wives. 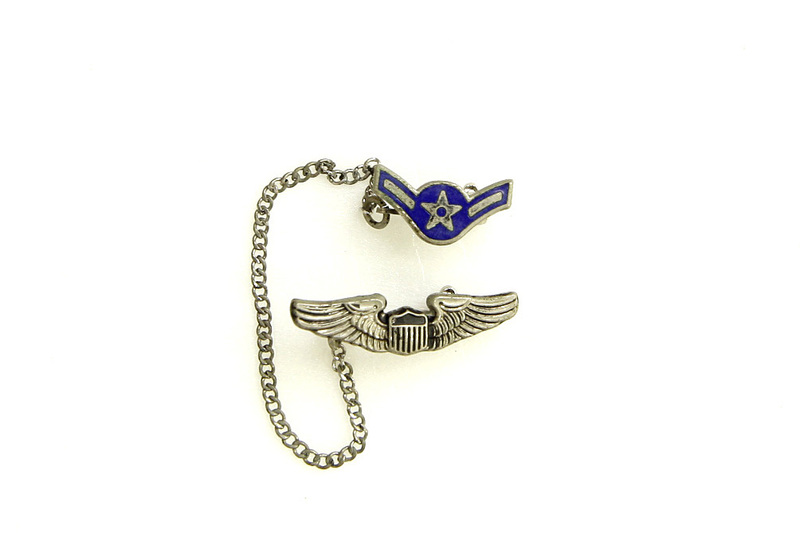 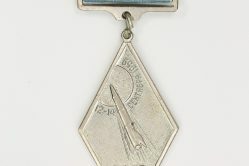 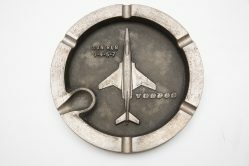 This tiny sterling-silver pin has an airman or E-2 chevron attached by a chain to a miniature set of aviation wings. 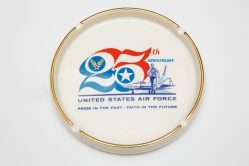 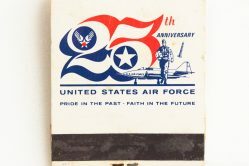 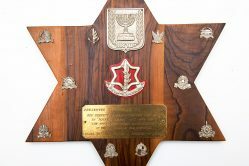 It was bought at the base exchange at Lackland AFB, Texas.